I’m at Lahti University of Applied Sciences (Finland) right now for the “International iWeek”, organized by the Faculty of Technology. 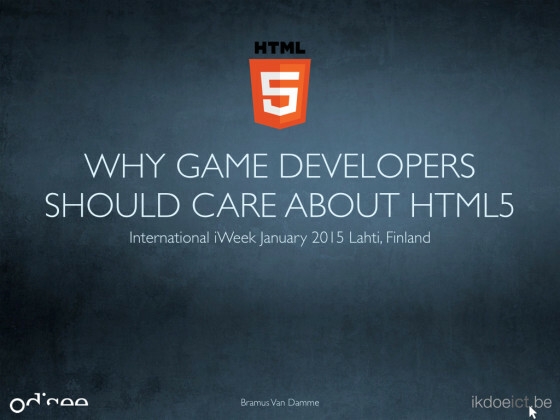 Today I gave two sessions entitled “Why Game Developers Should Care about HTML5”, a reprise of a talk I first did back in 2013. You can check out the slides embedded below. Slides with presenter notes – which might be a better option if you didn’t attend the talk – are also available.